In the U.S, often times, financial debt is a cause of unemployment and credit card debt, however the leading cause of financial hardship is debt that is caused by medical bills and the in-ability to pay for them. In fact, 1.7 million people had to declare bankruptcy last year due to medical debt, which results in their credit score decreasing. There are many dealerships out there who are less helpful as you deal with this hardship and are less understanding when you are trying to get approved for a car. Here at Del Toro Auto Sales, we will not hassle you as we understand people deal with many different circumstances. Our friendly staff and extensive inventory have helped many people living in Washington find quality pre-owned vehicles at affordable prices. So if you are looking for Auto Loans after Medical Debt in Auburn, at Del Toro Auto Sales, you will not have trouble getting approved. Once you stop paying on your medical bills, the institution will send the unpaid invoices to collections and your credit score will take a hit. Once it goes to collections it will remain on your credit for up to seven years. Although this is a negative addition to your credit history, you can be proactive to take steps to begin improving your score before stopping by to ask about Auto Loans after Medical Debt in Auburn. The first thing you should do is to stay organized when it comes to your bills. Keep record of all the appointments and services who had and with which doctor. Knowledge is power. By doing this it will allow you to organize yourself better and to know which bill is for what when they show up in the mail. Making your medical payments on time will not only keep defaulted payments off your credit report but it will also improve your credit score. 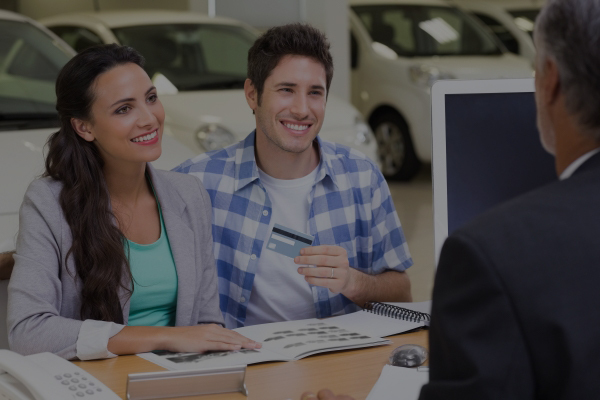 Del Toro Auto Sales has made the approval loan process much easier. Visit our website and fill out our pre-approval form. This will give you a head start on the finance application. After you complete the pre-approval form, schedule an appointment with a member of our finance team and from here we will help you find the car and an auto loan that fits into your budget. We have a wide range selection of quality pre-owned four-door sedans, SUVS, Trucks and luxury vehicles. You will not have trouble finding the car you desire with deals that cannot be beaten. We have flexible terms and we will make sure you are in loan that you are comfortable with and a monthly payment that is realistic. We have it all at Del Toro Auto Sales. With our easy loan process you will get approved for Auto Loans after Medical Debt in Auburn. With our experienced and friendly staff and selection of vehicles, there is no doubt you will find our process smooth and easy. Come visit us today, or call 888.324.2978 seven days a week during our extensive business hours. Should you buy a new or used SUV? Many people have the concept of purchasing a used SUV scary, because of the unknown, and have the question, is it good to purchase a new or used SUV? And the answer is simple, both are a good purchase. It comes down to how much you want to spend and what kind of use are you looking to get out of it. So if you are in the market for a new used car, you will find great quality pre-owned SUVs for sale in Auburn at Del Toro Auto Sales. Used vehicles are not all risky and if you go through a reputable dealership in Auburn, you will have the advantage to purchase a pre-owned vehicle. Pre-owned SUVs are typically available at a much lower price. This means that you will be able to enjoy the luxury of a recent make and model of SUV at a reduced rate. Depreciation rate is far less on a second hand vehicle. It is true, all vehicles will depreciate regardless of age, however most new vehicles lose up to 40% of their value within the first year. After the first year, depreciation of a car is much slower, and, if need be, you can sell the vehicle without losing too much on what you originally paid. You can typically expect lower insurance rates. The age of the car will affect your insurance premiums, but the fact that a pre-owned car costs less than a brand new one also means that your cover will be less, bringing your premiums down too. As you can see both used and new SUVs have great benefits, but if you must stay within a budget and not want to compromise the quality of vehicle, luxury and comfortability, purchasing a used SUV from Del Toro Sales in Auburn is a great option. Find yours at our dealership. We have a wide range of quality used cars and SUVs. Visit our website to search through our inventory, pictures, speak to a sales manager or view the CARFAX of the vehicle you desire. Visit us today with our extensive business hours, seven days a week. We are here to help you find your next quality pre-owned SUV. We look forward to the opportunity to serve you. Purchasing a car from us is easy. If you are looking for a Low Down Payment Auto Loan in Auburn, come visit us. It only takes a few minutes of your time to apply for financing. Fill out the credit application to become closer to owning the car you want. View from our huge selection of quality used vehicles either at our dealership or on our website. When shopping for your next car it’s important you put emphasis on customer service from whichever dealership you choose to work with. At Del Toro Auto Sales, we take pride in the service we provide and we want to ensure we can achieve your expectations, and whether you have a question about one of our cars, applying for a loan, or choosing between models, we will be by your side to help you every step of the way. You can see our reviews and what our clients think about us and we want to make sure you feel the same way about our friendly and professional approach. When researching dealerships who offer Low DownPayment Auto Loans in Auburn, be sure to view your credit report. Del Toro Auto Sales recommends you pull your report which is free once a year at annualcreditreport.com, your credit score is based off of this report. Be sure to thoroughly go through and verify all information is accurate. If you see a mistake report it to the credit bureau or the company that gave you the credit. This report provides your financial history, lists of companies that lent you a loan, your credit limits and more. Once you have this information, visit Del Toro Auto Sales website. We have a lot of content and information to help you speed up your research process. You can see our wide selection of quality pre-owned vehicles, CARFAX history reports, see photos, compare models, or use our payment calculator to determine your monthly payment. Connect with Del Toro Auto Sales so we can determine your Low Down Payment Auto Loan. Visit us on the web or in person, we are are open 7 sevens days. We look forward to the opportunity to help you find your next vehicle. For question you can also call 1(888)324-2978. If you are looking to purchase a vehicle and want a quick and convenient Auto Credit Approval in Seattle, visit Del Toro Auto Sales in Auburn. Visit our online application to pre-qualify for an auto credit and view our selection of inventory to find the car you desire. We offer an array of vehicles from SUVs, cars, and trucks at great low prices. We have been doing this for years and have had a great reputation helping consumers all over Washington find the car they desire. We are confident we can help you find the car that best fits your lifestyle and budget. Our online finance application at Del Toro Auto Sales is straightforward and easy. There are no trick questions and it will take less than 2 minutes to complete. Once you have completed the application you will be on your way to the car of your dreams. From here you will find out the amount you qualify for and use our payment calculator to determine your approximate payments. 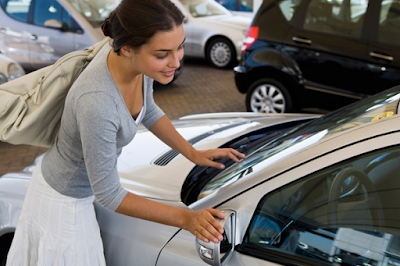 You are also welcomed to visit us to go through the Auto Credit Approval in person. We are here to help you 7 days a week during our extensive business hours. We will help you every step of the way through the financial process. When you apply for a loan, your credit score is an important piece in your Auto Credit Approval. Your score will determine the rate in which you will be paying in interest. A low credit score means you are a higher risk because you have had some financial hardship, whether it be defaulting on a payment and/or loan or large debt etc. Because of this your payment will be higher. Whereas a high credit score will most likely grant you a lower rate on your car loan and an easier time with the approval process. Visit our website to compare the different cars, use our payment calculator tool, schedule a test drive for the vehicle you are interested in or research the cars you desire by viewing the history reports and data from the cars. Del Toro Auto Sales knows time is precious to our consumers which is why we offer a quick and easy AutoCredit Approval in Auburn. Choose one of our vehicles from our extensive collection and let one of our experienced members assist you in finding the car of your dreams. If you have any questions or need assistance, we are here seven days a week. We look forward to the opportunity to serve you.